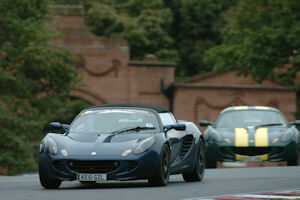 Circuits dont come any better than Oulton Park, arguably the best Lotus circuit in the UK. Not suitable as your FIRST ever track day. You must bring a full driving licence which will be checked at sign on. ANY vehicle without a hard top or fixed roof will require occupants to wear full face helmets. PLEASE READ OUR TERMS & CONDITIONS, BY SIGNING UP FOR THIS EVENT YOU AGREE TO ACCEPT THEM. Instruction Choose an optionNo thanksYes please!